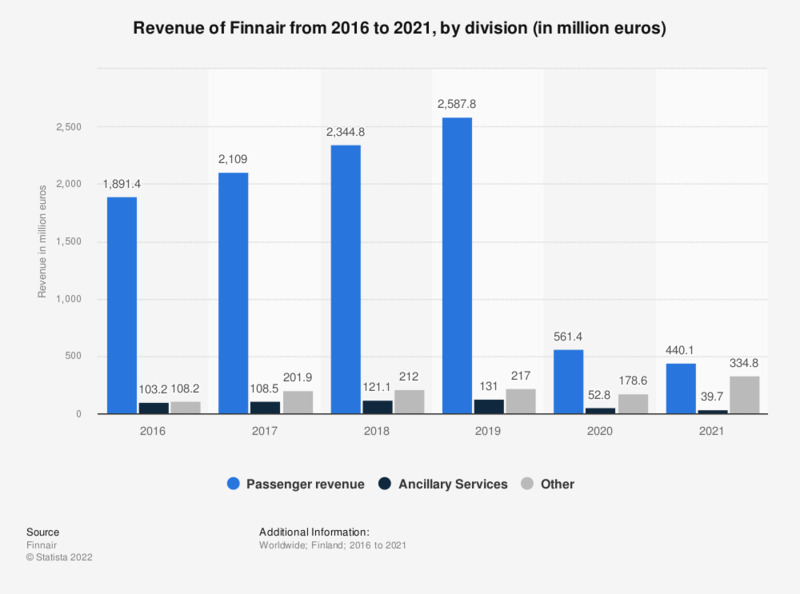 This statistic shows the annual revenue of Finnair by division from 2015 to 2017. The revenue increased in all divisions over time. In 2017, the passenger revenue accounted for approximately 2.1 billion euros out of the airline's total annual revenue.